Soon, she'll take her feature project about climber Freda Du Faur, Cloud Piercer, to the Stowe Story Labs, where mentors include Amy Hobby, Anne Hubbell and Elizabeth Kaiden of Tangerine Entertainment, casting director Ellen Parks and Anne Rosellini, co-writer of Winter's Bone. And she's just founded Wellington's Film Fatales, modelled on the New York Film Fatales. So I asked her: And. And. And. How did you come so far so fast? You have a masters law degree, in human rights. When and why did you shift from law to acting and then to writing? I’d also always enjoyed writing but had never written with much focus unless someone told me to. Once I had made the decision to pursue acting, the writing started sort of accidentally with my blog as a sort of sounding board to sort through my scattered and often contradictory thoughts on the industry. Eventually, I got frustrated by the dearth of roles for women and wrote to make my own work. Once I gave myself permission to do the work, I had to finish. Through all the creative ups and downs, I realized that I had found something that I actually felt passionate about. And how did you get from Berlin to New Zealand and become 'a proud Wellingtonian'? I came to Wellington to do my LL.M at Victoria University and was offered a full time job upon completion. I loved Wellington anyway but once I got to know some more people in theatre and film that was that. Wellingtonians are immensely generous and welcoming, and it’s so beautiful here. I have a family here now and Wellington is my home, my turangawaewae. Also, why leave when we have such a great coffee culture here? I think your first produced work was a play. Can you talk a little bit about that? Life.After was on in early 2013 at BATS Theatre in Wellington, with the gorgeous Liz Kirkman playing my sister, Shannon Friday directing, and Charlotte Larsen producing. That was the first time I had set out to write and produce something to create an acting job for myself (and I’d been dying to work with Liz). What surprised me most, was how engaged the audience was and how profoundly we affected some. I got hooked on writing because of that experience. How did you find Freda Du Faur? My colleague Bill at Te Papa, where I worked as a tour host for a while, saw me reading an encyclopedia of women who had done great things in New Zealand. I had wanted to write a story about the Land Girls during WWI and was doing research. 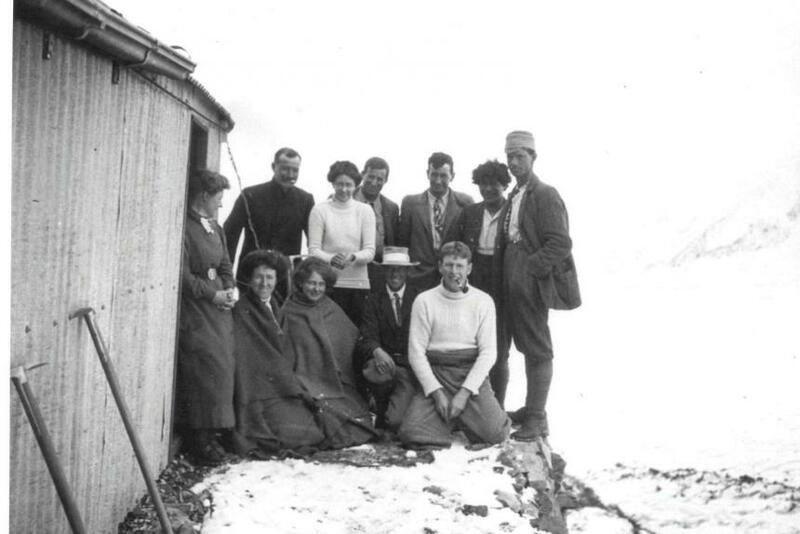 Bill’s from Australia and at the time was extensively studying mountaineering history. He told me to look up Freda who was also featured in the book. My first thought was, ‘But she’s Australian!’ I wanted to tell a New Zealand story after all. Once I started reading the entry, I couldn’t stop. It turned out that it doesn’t get much more New Zealand than Freda. She was the first woman to climb our highest mountain after all! I couldn’t believe that no one had made a film about her or written a novel. 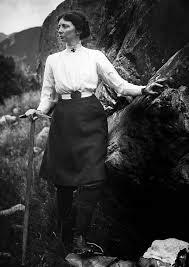 There is only one biography of her, the amazing Between Heaven and Earth by Sally Irwin, and there is Freda’s own memoir of her climbing seasons in the Southern Alps, The Conquest of Mount Cook (first published in 1915) but not much else! Freda’s story has everything: an independent spirit, light years ahead of her time and breaking barriers by sheer force of will and tenacity. It has love, friendship, tragedy, adventure, beauty… Here was a woman, who also happened to be gay, in the early 20th Century, who didn’t ask for permission to live the life she wanted. She climbed every major peak in New Zealand, in a skirt(! 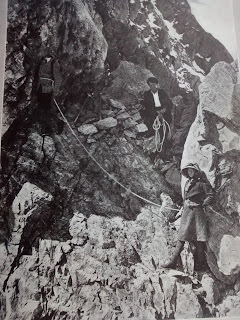 ), before crampons and nylon rope, and despite almost everyone telling her that she can’t and she shouldn’t. What Freda did was radical and bold and I loved that. I’ve been working on the script on my own time and dime for about two years now. Freda’s memoir is the backbone of the story and Sally’s biography was immensely helpful to understand Freda as a real person and as a character. At an early stage, the first act was workshopped with the Sandpit Script Workshops, a peer-run actors and writers workshop here in Wellington. It was very helpful to hear the script performed by actors and get feedback from them and the other writers. That set me up for acts two and three. My friend, writer/director, Chaz Harris was also an important sounding board and the latest draft has basically gone out to all of my writer friends who agreed to read it. It’s tough writing in a bubble! The idea of asking for feedback may be scary but it was immensely helpful to me. The Rocks of Mount Nazomi (1912). 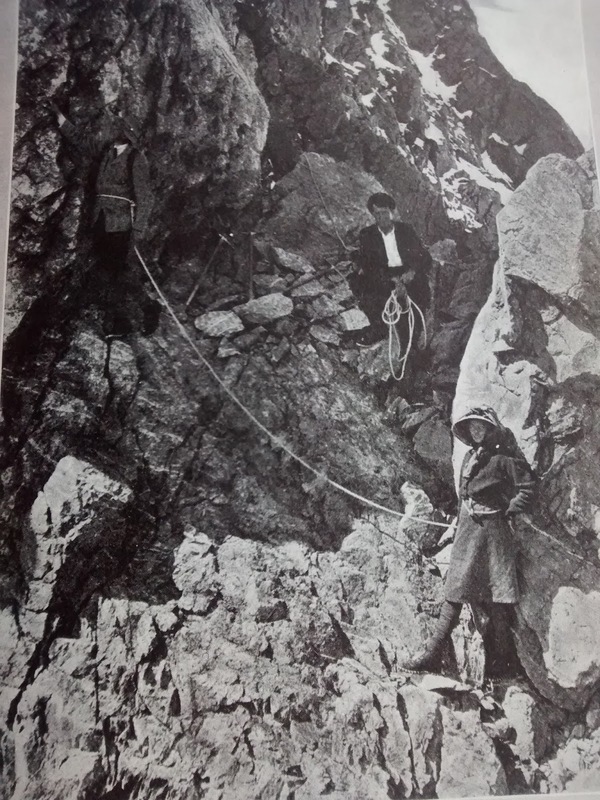 Freda was the first person to climb Mt Nazomi; it is one of four peaks named by her – the others are Pibrac (after her ancestral home), Cadogan (after her friend and later life partner Muriel) and Du Faur. What drew you to the Stowe Story Labs? I came across Stowe Story Labs sort of accidentally and applied on a complete whim. I hadn’t consciously planned to go overseas for development. The NZFC and other government-funded programs aren’t available to me because I don’t have the right visa status and I wasn’t sure about development funds through local production companies. I’m pretty stoked I got into Stowe though! I had gone through the list of possible mentors and there were a lot of people on there whom I admire, in particular the women on the list. It was immediately clear that Stowe values women storytellers and what we have to say just as much as male storytellers and their stories. That’s pretty rare, unfortunately and was definitely something that gave me confidence. And the programme itself is great! Learning from and building a network of peers and mentors is something that I’m really looking forward to. Cloud Piercer is also most likely to be a co-production as it’s not exactly super low budget. So, testing the film overseas will be helpful in that respect also. What do you hope to get from your time at Stowe? The Story Labs are four very intense days with specific focus on each project, mentoring and learning essential skills that help taking a project from script to screen, such as creative producing, pitching and packaging, and making the most of the casting process. The mentors are all seasoned, working industry professionals who have worked on anything from small indies to studio productions. I would like to get the script market ready and come home armed with enough knowledge to start looking for production companies here and overseas. Do you expect to direct Cloud Piercer? And to play Freda yourself? I started writing Cloud Piercer to play Freda. That’s one juicy role! The further I got through the writing process, I realized that my interest shifted from being that character to telling her story and telling it my way. I’m just going putting it out there. I want to direct this film. I’m under no illusion that I’m going to have to prove that I can. I’m looking forward to getting a couple of shorts under my belt while I further develop Cloud Piercer. I’m going to go with Freda’s attitude on that one: she worked really hard to get fit and learn the skills she needed but didn’t wait for anyone to give her permission to be a mountaineer. You're in the midst of establishing New Zealand's first Film Fatales. How's it going? When I first made the decision to direct, I realized that I needed people in my corner. At the same time, there was more and more buzz on the internet and in my own circle of friends about the ridiculous underrepresentation of women on screen and behind the camera. I decided to start a women filmmakers collective were women help women make movies. It seemed like a good idea. Then I came across Leah Meyerhoff and the Film Fatales who had done exactly that! So, I got a few people together at my house and that was the first meeting of the New Zealand chapter. The idea behind Film Fatales is to bring female (feature) film directors together once a month to mentor each other, collaborate on projects, support each other and thus make it easier to actually get our films made and seen. The chapters in New York and LA are pretty big and have spawned short film, documentary and producers chapters, and writing groups and they run many amazing programs in those cities and at film festivals around the country. There are now more than two-dozen other chapters around the world! Within the New Zealand chapter, we’re a pretty diverse group in terms of experience ranging from women who have directed a feature, to those who have made short films and/or web series, to university students who are making their first steps in the industry. We’ve recently had our fourth meeting and we’re growing steadily. It would be great to get some more experienced directors on board. This is a model where the trickle down effect actually works! I’d also love to start a chapter in Auckland and one in the South Island. Any female directors interested in joining can get in touch on filmfatalesnewzealand(AT)gmail(DOT)com. 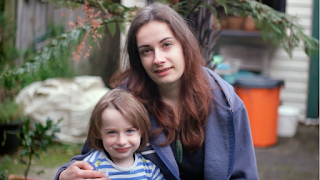 Raising Films has initiated a very rich conversation around parenthood and filmmaking, and I imagine you have some insights to share about your own role as a mother. How does it affect your work? Mothering work is not valued as ‘work’, which has all sorts of repercussions for women and men. Economically speaking though and in terms of career development these gendered expectations give fathers the advantage (whether they want it or not). This is true for the film industry as much as it is everywhere else. The expectation seems to be that once you are a mother, that’s all you are, want to be and should be, and that somehow your ability to contribute to your job or your community and to produce work has somehow magically disappeared. This of course is all sort of gendered BS. That we have started talking about this publicly and are demanding change is great. I have an amazing partner, family and friends to rely on when working on productions but I shouldn’t have to. There need to be actual systems in place that level the playing field. Earlier this year, I worked on a bigger production in Wellington as a day player. They called me in on very short notice. Instead of leaving it up to my partner and me to find someone to look after our son, they invited him into the green room where one of the ADs looked after him. Not everyone will be comfortable with this kind of arrangement and it might not always be practicable but it goes to show that parents can be accommodated, which is especially important for working mothers. It’s pretty much a given, that my being a mother is going to be brought up (time and again) in bringing Cloud Piercer to the screen. I am bracing myself for that and am going to make damn sure to surround myself with people who can and want to work with a woman at the helm. Anita has created a PledgeMe campaign to help her get to the Stowe Story Labs. It's going great and there's still time for us to help her. Christmas 1910 Malte Brun Hut: Freda is in the centre back row, with the white sweater and holding a snow ball in her hands.